DIY carrot candy from Hungry Happenings is an easy Easter treat. Orange chocolate covered almonds are topped with a green gummy candy. This creative candy is perfect for filling Easter eggs and baskets. 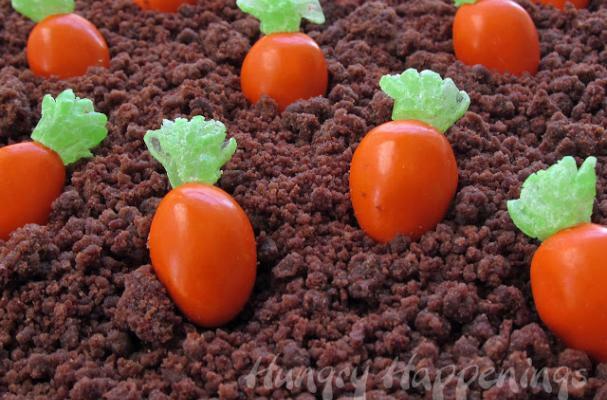 Carrot candy is a great food project to do with the kids.